Barcelona have reportedly cooled their interest in Lyon ace Ferland Mendy, as the French outfit are believed to be demanding between €45m-€50m for their defender. The 23-year-old has continued to impress this season, making 34 appearances across all competitions for the Ligue 1 giants, while scoring three goals and providing three assists to go along with his defensive work. That balance in his play between defence and attack will be crucial if he were to seal a move to the Nou Camp, as the Catalan giants undoubtedly rely on their full-backs to provide width going forward. Perhaps that is a key reason why Barcelona are being linked with him in the first place, but according to Mundo Deportivo, they are now potentially set to move away from the Frenchman as they’ve been put off by Lyon’s demands of between €45m and €50m for the left-back. It’s added that Barca aren’t willing to pay that much as they could have other priorities and issues to address this summer, and so signing competition for Jordi Alba simply can’t cost them that much. That’s undoubtedly a sensible strategy in fairness, and so Mundo Deportivo add in a separate report that Atletico Madrid stalwart Filipe Luis could be eyed as an alternative option as he seemingly makes more sense. The Brazilian ace would arguably be content with pushing for a starting berth alongside Alba, while with his contract set to expire this summer, he won’t cost Barcelona a huge fee. 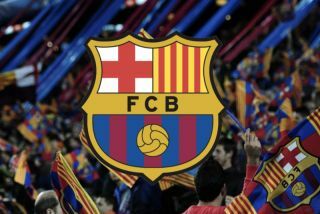 Ultimately, it would be more of a short term fix, but if it makes sense financially and in terms of giving coach Ernesto Valverde the depth needed to compete in the more immediate future while reserving funds for other positions this summer, it could be the route which Barcelona choose to take.